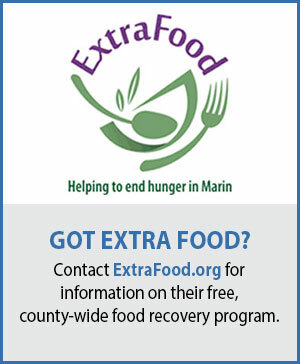 Marin Sanitary Service offers two compost programs for our business customers. The first program is our regular compostables service for plant materials, food-soiled paper, and food scraps composting (see information below). 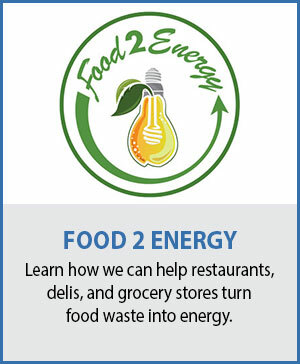 The second program is our Food 2 Energy program which is aimed at large food waste generators (restaurants, delis, grocery stores) and diverts organic food waste from the landfill turning it into energy. A recycling coordinator will review these options with you upon starting service to assure you’re using the right program. The size and number of compostables carts a business uses varies, but what goes in these compostable receptacles remains the same: only yard and food waste. 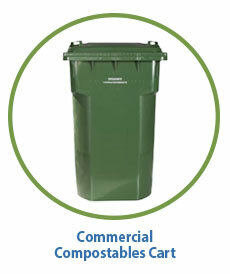 Your compostable receptacles should be clearly marked and easy to identify. Please remember that we do not sort through the materials placed in garbage carts, so it is imperative to always place all of your yard waste and food scraps in a compostables cart. 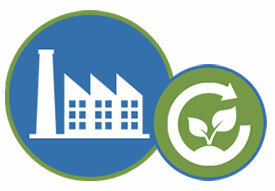 Visit our Commercial Services page to review the size and container options for commercial customers. Below we’ve listed some general guidelines about what can and cannot go into your compostables cart(s), but the list isn’t comprehensive. 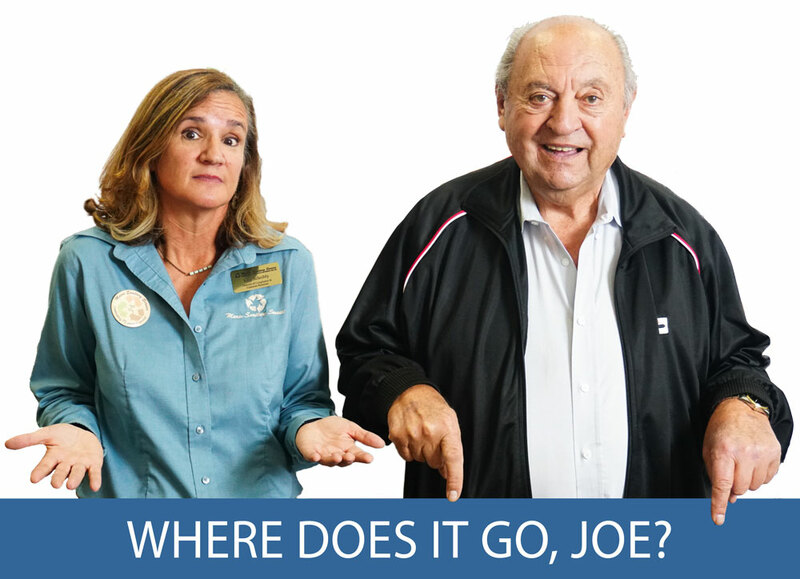 When in doubt, please use the Where Does It Go, Joe tool above to look up a what cart a specific item should go into. 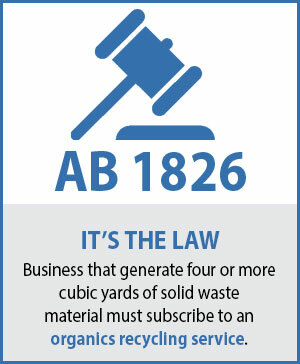 Business owners or account holders may contact customer service at (415) 456-2601 prior to your service day if you find that your total amount of compostables (yard/food waste) exceeds the capacity of your container.